SFPD PLAINCLOTHES OFFICERS WHO RIPPED OFF POOR SRO HOTEL RESIDENTS, STOLE MONEY, LAPTOPS, JEWELRY AND DRUGS – FINALLY GO TO TRIAL THREE LONG YEARS LATER. HAVE ENJOYED FREEDOM FOR CRIMES YOU OR I WOULD BE IN PRISON FOR RIGHT NOW. A federal prosecutor opened the trial of two San Francisco police officers Monday by telling jurors the case was about “corruption with a badge.” Defense lawyers countered that it was about a third policeman who cut a deal with prosecutors to frame their clients. Reynaldo Vargas, who pleaded guilty to four felony charges last month and agreed to testify against his former colleagues, is a man with an “evil nature” whose testimony was “bought and paid for,” Brian Getz, attorney for police Sgt. Ian Furminger, said in an opening statement to the U.S. District Court jury in San Francisco. 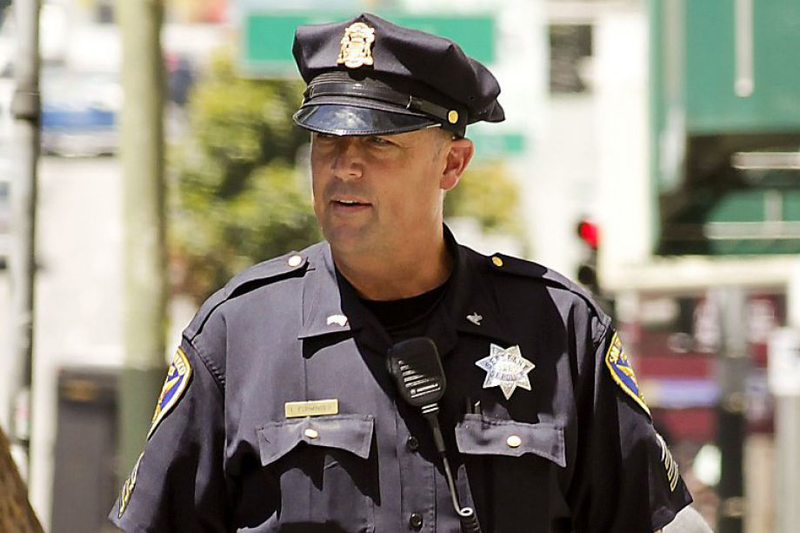 San Francisco police Sgt. Ian Furminger in the Tenderloin in 2012. Click image to enlarge. But Assistant U.S. Attorney Rodney Villazor said Vargas and other witnesses would describe a series of thefts of money, drugs and other property from criminal suspects by the three officers, who worked in the plainclothes unit at the Mission Station. In a May 2009, during a search of a home in Newark, where the officers were assisting the U.S. Drug Enforcement Administration, Villazor said, Vargas found a shovel in the backyard, dug up $30,000 in cash and split it with Furminger and Robles. The next day, the prosecutor said, Robles deposited $6,000 in his bank account. In another 2009 search, Villazor said, Vargas found two Apple gift cards, one for $500 and the other for $53.17, in the hotel room of a suspected drug dealer. “Vargas looked at Ed Robles and said, ‘Let’s go shopping,’” Villazor said, and one of the gift cards was used to buy an iPod for Robles’ girlfriend. Caffese said Robles, when he gave the iPod as a gift,did not know it had been purchased with a stolen gift card. Furminger and Robles are charged with theft from suspects and from the city and with depriving the public of their honest services. 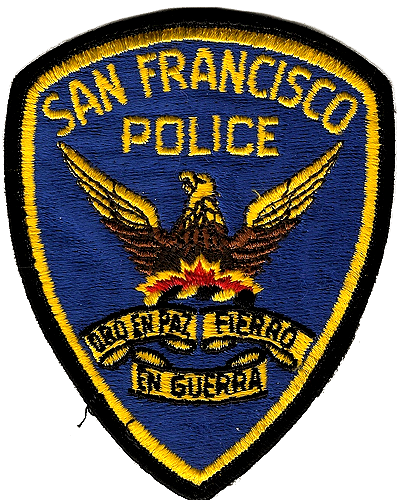 The criminal charges against all three officers followed an investigation by San Francisco police and the FBI that concluded they had stolen marijuana that had been seized from suspects in 2009, and that Vargas had delivered the drugs to a pair of informants, who sold it in return for 25 percent of the proceeds. Furminger and Robles have been suspended without pay. Vargas was a police officer from 1999 until he was fired in 2012 for allegedly falsifying his time sheets. In a plea agreement Oct. 21, he admitted stealing computers, gift cards, money and other property and keeping them for personal use. He also said he, Furminger and Robles had taken marijuana from a seized UPS package in 2009, and that he later gave the drugs to two people whom the three officers had been trying to recruit as informants. Vargas will testify later in the trial, which is scheduled to last several weeks. One prosecution witness Monday, the girlfriend of a suspected drug dealer, described being handcuffed and interrogated by the three officers, who then allegedly offered her a kickback if she would implicate her boyfriend. Stewart said she didn’t remember which officer asked the question, but all of them were within earshot. They later released her without charges. Another prosecution witness, Ian Elliott, a friend of Stewart’s, said he heard Robles question her outside the hotel room and offer to “split the proceeds with her” if she helped them find her boyfriend’s vehicles.